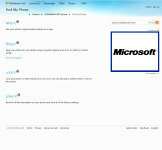 The Marketplace is still in its early stages but it’s already much better than what Windows Mobile 6 got. 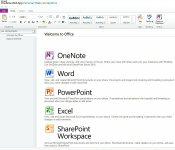 It has three sections – applications, games and music. The Application section starts with a featured app, then it’s on to the categories (including all and free), followed by the top apps, a list of new ones and a longer list of featured apps. The Games section is divided into Xbox Live, Top, New, Free and finally, Categories which has the games sorted into genres. Genres themselves are separated into sections too – new releases and top artists/albums/songs/playlists. For each song, you get a 30 second preview. Search is available for the Marketplace but right now it pulls together search results from all sections – so, songs get mixed in with the apps and games. This is a little annoying since you don’t need song results while searching for an app and vice versa. But still, it’s not a major problem. The biggest problem with the new Marketplace is the shortage of apps. This is the most common problem when a new OS launches an app store. The number of apps and games will grow but the question is how fast. Of course, this is nothing a little developers challenge with a nice cash prize can’t sort out. 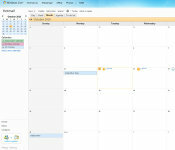 As soon as Microsoft announced Windows Phone 7, over 50 new apps flooded the Marketplace, but it’s still in early stages. Anyway, each app will be listed with a short description, a rating and user reviews, and a few screenshots. If the app can use something that can potentially breach your privacy (e.g. 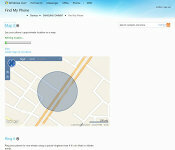 location information) the Marketplace will let you know. It’s not as comprehensive as the Android Market (which lists just about everything the app can use) but on the upside it only warns you about the important things. 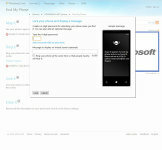 Microsoft has added extensive support for “in the cloud” features in Windows Phone 7. 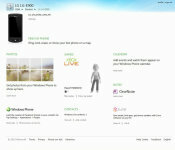 The WindowsPhone.Live.com site is where you can access those features from your browser – everything from remote wipe to browsing photos. 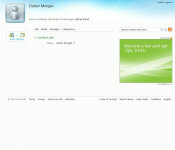 Open the site in your browser and sign in with the Live ID that you use on your WP7 phone. Once that’s done you have access to the Find My Phone features. You can make the phone ring or see its last location on a map. If it turns out that your phone is lost, you can lock it and leave a “please return” note on the screen. If you fear it’s been stolen, you can remote wipe it too (which erases all data from the phone). The Windows Phone Live also lets you browse and edit contacts, calendar events and OneNotes too (those are edited with Office Live). 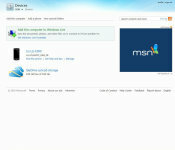 You can also browse photos you’ve uploaded to SkyDrive. We already mentioned that the camera of every WP7 phone can be set to automatically upload all pics you snap there. Speaking of SkyDrive, using Windows Live Mesh you can sync your computer with your SkyDrive account too.